1. What is GoRhino and how long has it been in existence? 2. How does GoRhino work? As a GoRhino member you are able to receive discounts and value-added savings on a range of lifestyle products and services at over 1 000 establishments nationwide; from accommodation to cheap car hire, to restaurants and movies. 3. What offers are available to our members? Up to 25% discount off at participating restaurants for up to 2 people. 4. At participating restaurants, what menu items does the offer apply to? The offer applies to à la carte menus and cannot be used in conjunction with specials or promotions. You must have a main meal but may also add a starter and / or desert. The discount applies for up to 2 people. 5. Can the restaurants exclude any days or times? The only exclusions that the restaurants may have are Friday and/or Saturday days or nights as this is their busiest time. We always try to ensure a restaurant allows GoRhino discounts at least one day on a weekend. 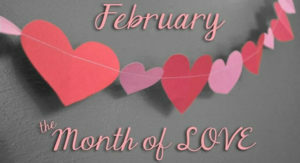 Other reasonable exclusions may sometimes apply, for example certain holidays, or special occasions such as Valentine’s Day, Christmas & Mother’s Day. Please check the key for the restaurant or establishment that you wish to visit as this will give details on when the discounts apply. GoRhino has ensured that there will always be a restaurant or establishment open on any given day. 6. Why do some restaurants ask members to advance book? Either to ensure availability or because the particular restaurant has a booking policy. 7. 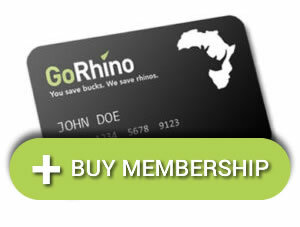 Why do restaurants and establishments participate and provide such a big discount to GoRhino members? GoRhino is exclusively for members so our restaurants and establishments are able to offer large discounts. Also, as our members pay a membership fee they tend to be good quality customers – the type that the restaurants or establishments like to get through their doors. 8. How do I keep informed of new restaurants or establishments joining? This website, www.gorhino.co.za is fully up-to-date with all of the offers currently available. The number of restaurants and establishments is growing all the time and updated on the website. 9. How do I cancel my GoRhino card? Please do not hesitate to contact us or call us on 086 114 3643 and we will assist you with the cancellation process. 10. How do I join or become a member? Please contact us or call us on 086 114 3643 and we will gladly assist you. 11. How does this work? For a detailed description on how it works, please click here. 12. When will I receive my GoRhino card? 13. Can someone else use my card / is my GoRhino card transferable? Your GoRhino card is unfortunately not transferable. Only the registered member may utilise the benefit. The benefits may be applicable to the card holder and 1 other dining member at participating restaurants. Your card will be verified prior to usage at each restaurant. Cards may be confiscated should the restaurant suspect any fraudulent usage. 14. I have a restaurant /establishment and would like to add it to your program. GoRhino would love to have you join our portfolio of restaurants and establishments. For more information, please contact us or call us on 086 114 3643 and we’ll gladly assist. 15. How many times can I use my card per day? You may use your card as many times as you wish. The more you use, the more you save! 16. What do I do if I experience any problems at a discounting partner? Should you experience any problems with your experience with GoRhino for whatever reason, please contact us or or call us on 086 114 3643 (8am to 5pm Mondays to Fridays). Your feedback will enable us to make your future experience with us a more pleasurable one. 17.What do you have for kids. We have entertainment for kids such as Mr Funtubbles, Black ops laser tag, XD Theatre and many more. 18. My question has not been answered here. Please contact us or call us on 086 114 3643 and we will assist you.